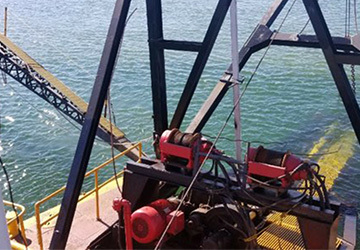 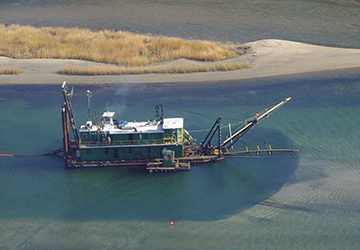 The project consisted of acting as the completion contractor for the surety (bonding company) in order to complete a dredging project that had been attempted twice previously by others, without success. 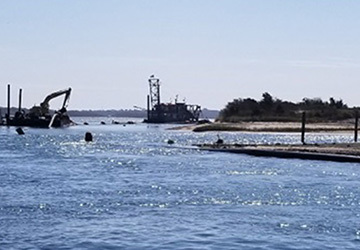 The project was challenging due to the recreational and commercial marine traffic in the area, the various municipalities and agencies involved, and the total length of transmission pipeline required to transport the dredged material to the disposal area. 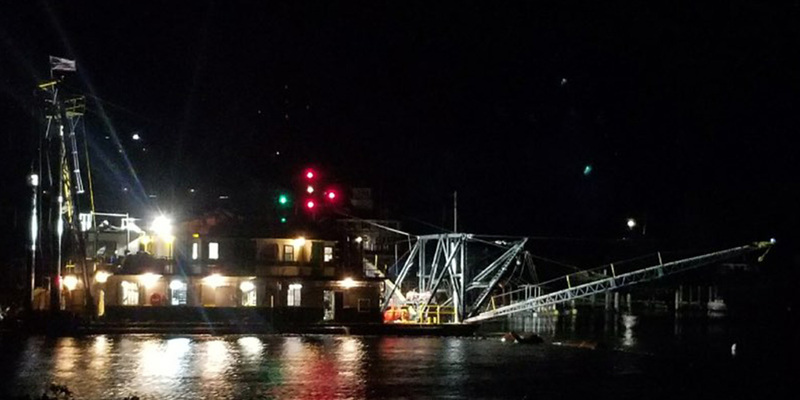 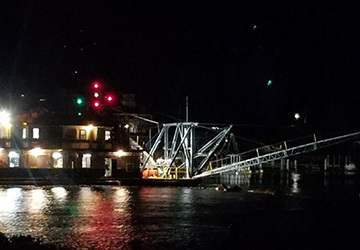 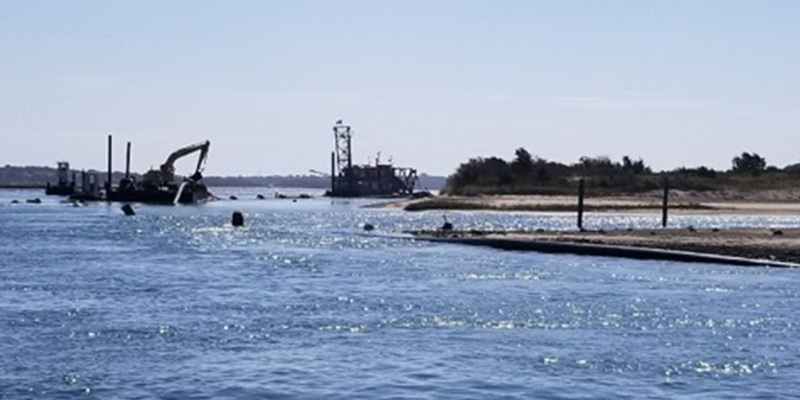 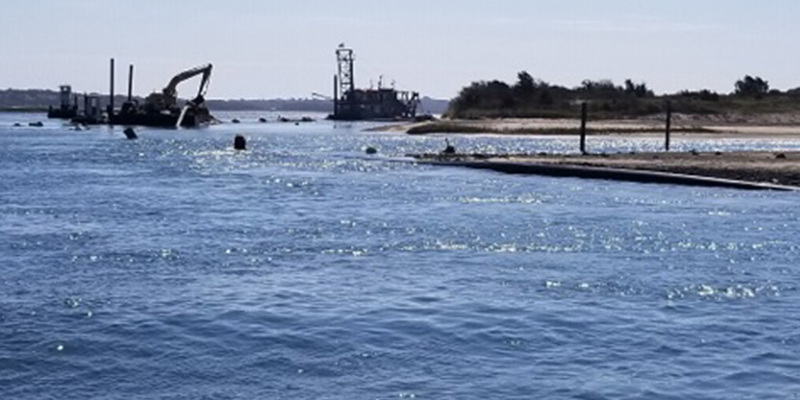 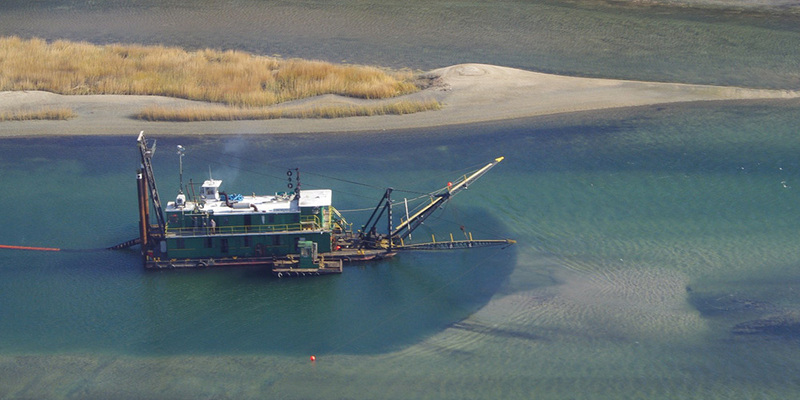 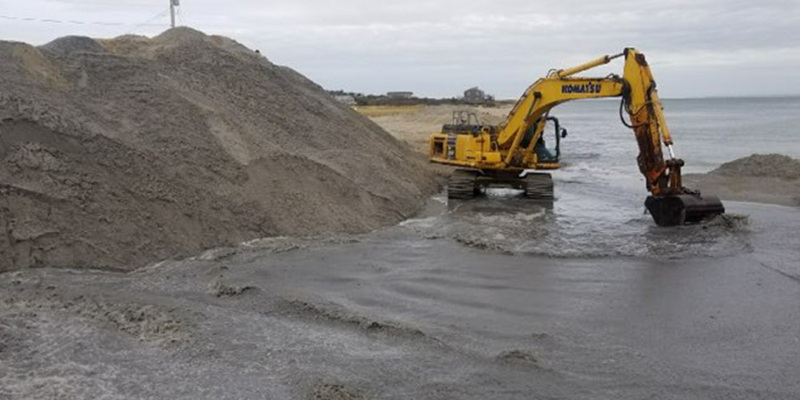 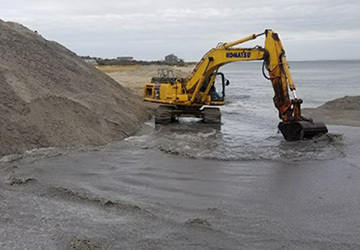 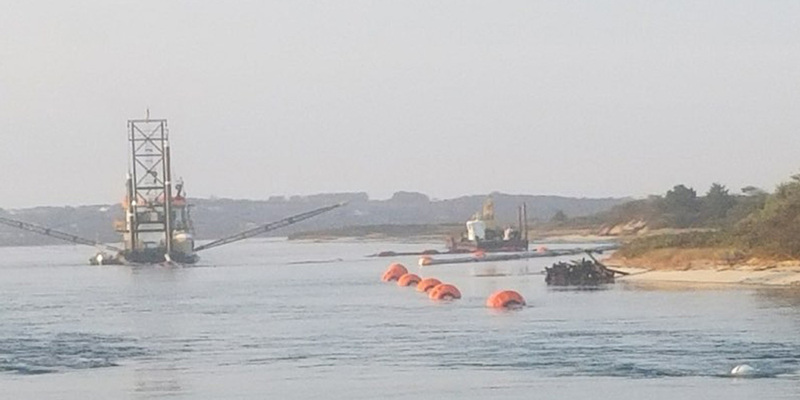 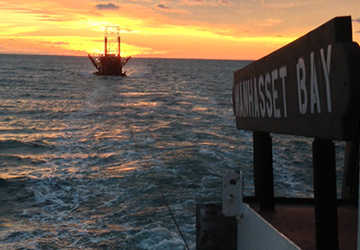 Mobilizing the dredging fleet, including the 16 dredge SCROD II and various barges, booster pump, vessels, and approximately 16,000 lf of transmission pipe from H&L’s home port in Bay Shore, NY to Menemsha Harbor on Martha’s Vineyard, MA. 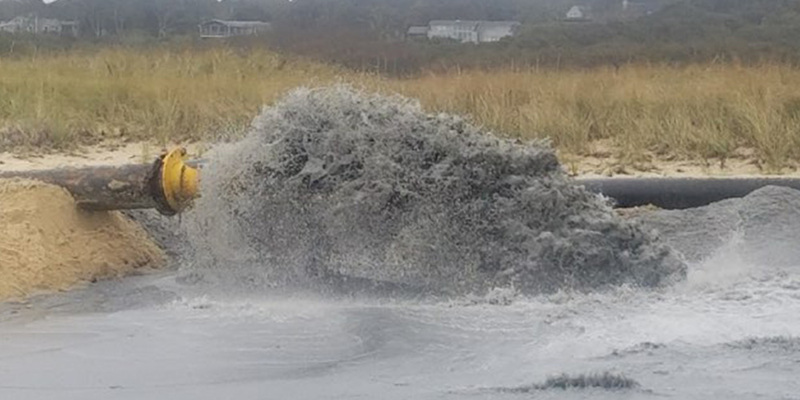 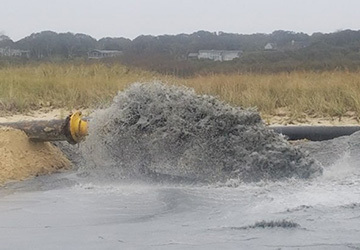 Pumping the dredged material though the transmission pipe for placement on the beach disposal area. 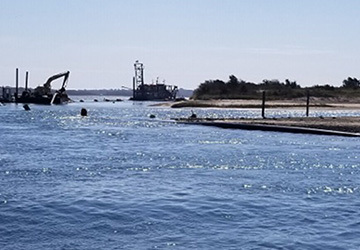 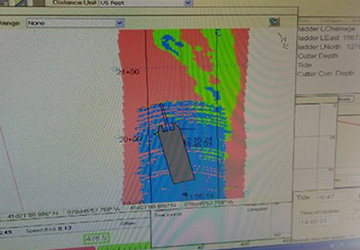 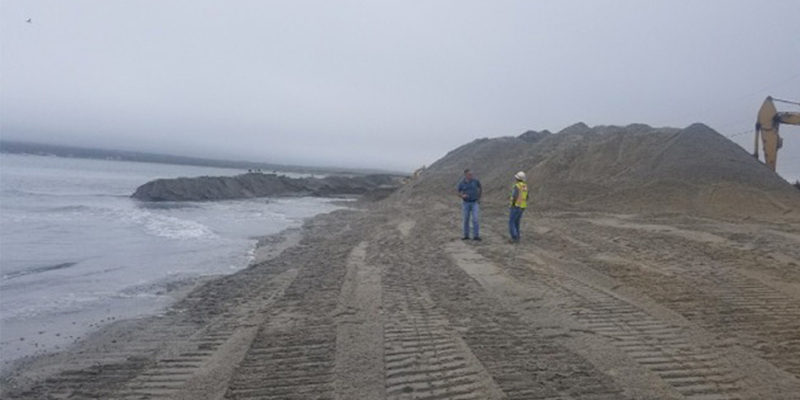 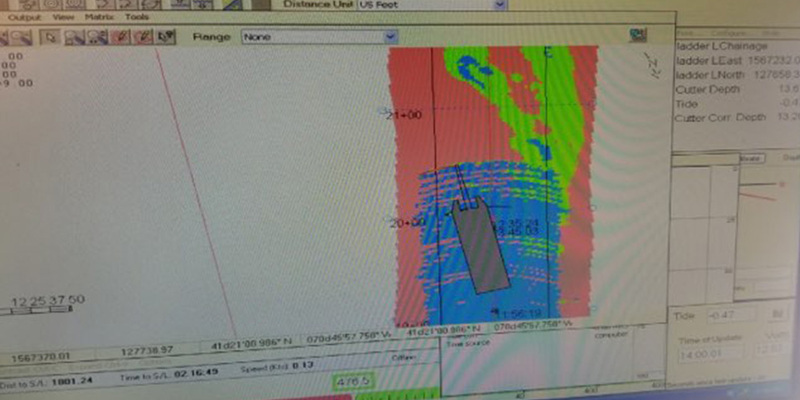 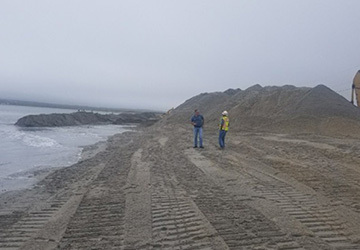 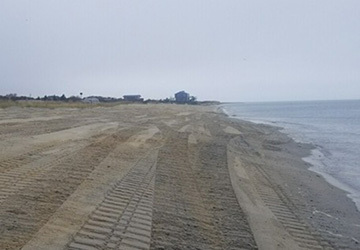 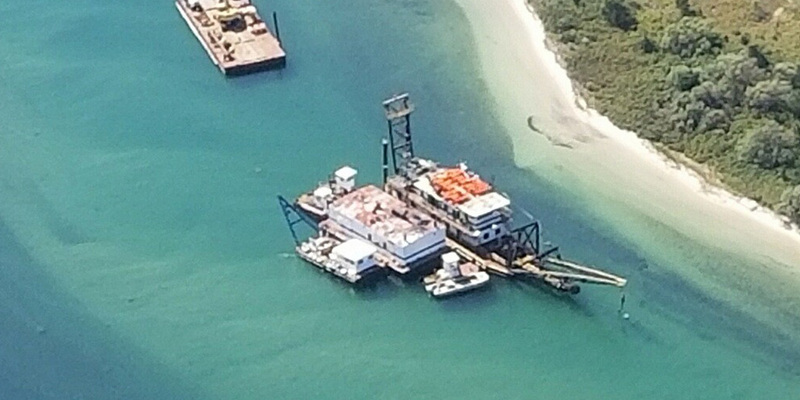 The USACE, as well as the surety and the local agencies, had been left disappointed and frustrated by the previous attempts to perform the dredging. 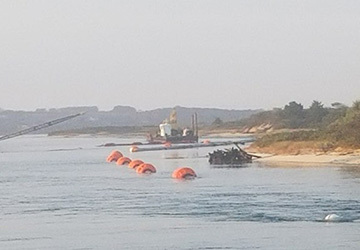 H&L’s personnel immediately re-assured all concerned that the project was well within H&L’s capabilities and that barring any unforeseen problems the dredging would be completed well ahead of schedule. 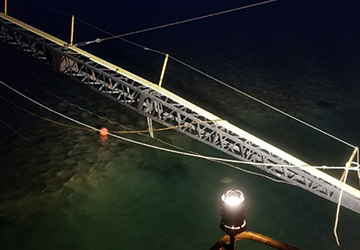 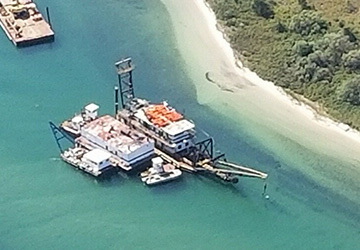 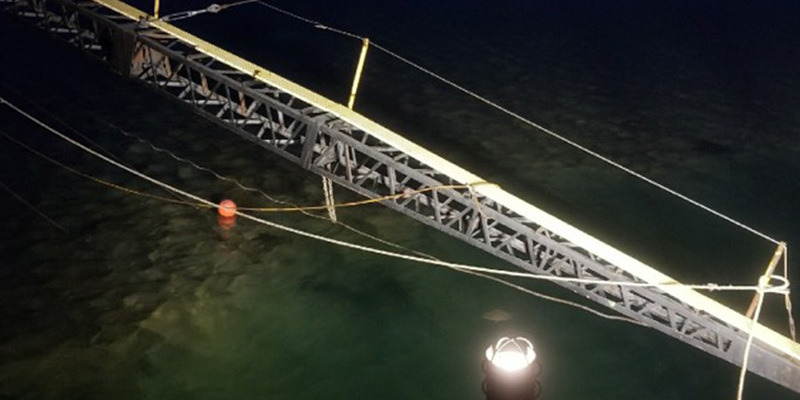 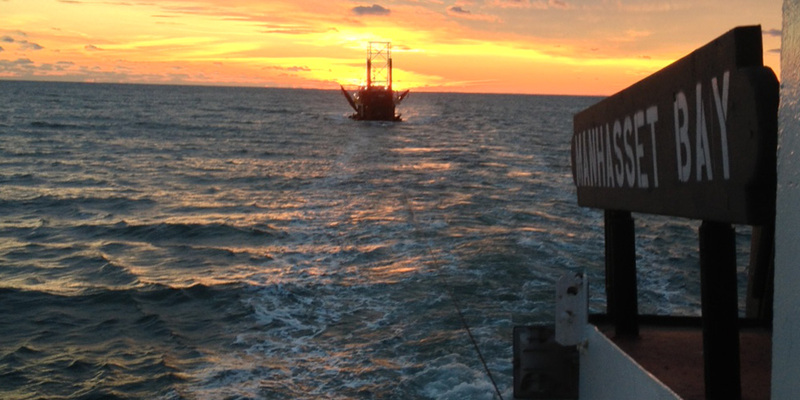 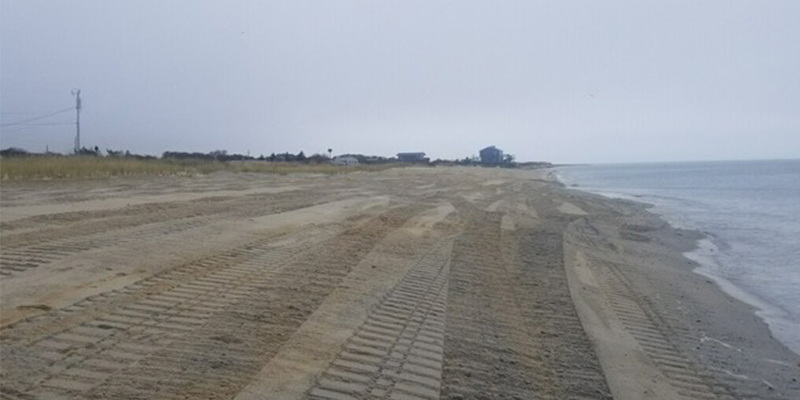 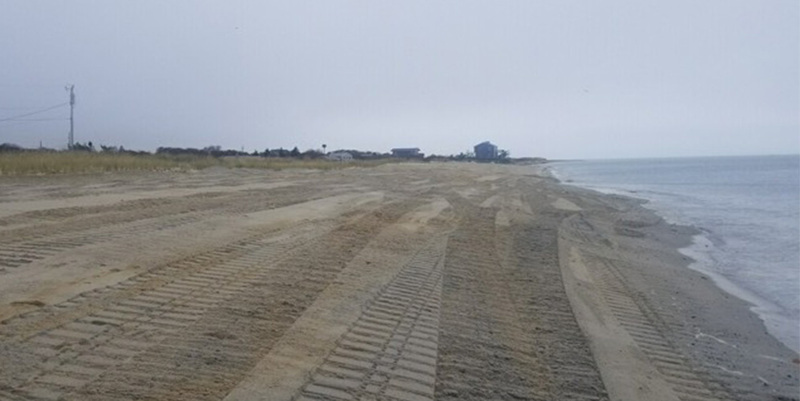 The work was performed entirely by H&L personnel and equipment, including the towing of the equipment through a 100-mile stretch of the Atlantic Ocean. 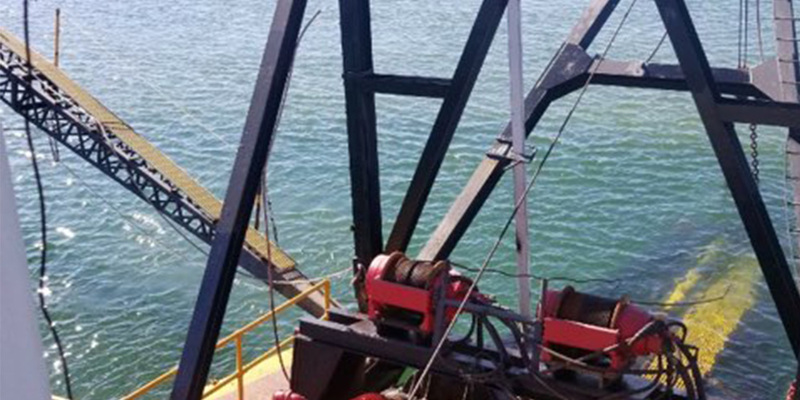 All aspects of the work were completed as indicated on the schedule provided by H&L and well ahead of the contractual completion date.